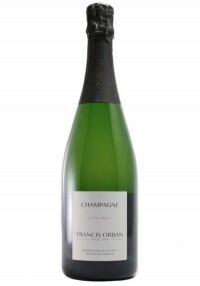 The Orban’s Champagne genesis moment came in 1929 when Léopold Orban decided to buck the practice of selling to the houses in Epernay (a little over 9 miles away) and make Champagne on his own. In fact, he was one of the first recoltant-manipulants in his small village of Leuvrigny. Four generations later Francis Orban has taken up the mantle of the estate. Francis was born in Riems in 1980 and always knew he wanted to continue with the family business. He was so primed to start the life of the vine that he finished his enology training at the age of 19 and joined the family business. After a decade working alongside his parents he took the reigns himself and began to make and sell Champagne under his own name. Today he has 18 acres of vines, in and around the villages of Leuvrigny and Sainte-Gemme. (As an aside, these villages are where Krug sources the Pinot Meunier for their blends.) Francis Orban is something of a Pinot Meunier obsessive, and not just because over 90% of his plantings are to that grape. He maintains that here on the Seine River’s left (South) bank, or ‘Rive Gauche,’ the clay-rich terroir is best-suited for Pinot Meunier. 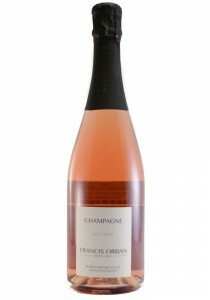 This "Grower Champagne" is made up entirely of Pinot Meunier, with half from the 2015 harvest and ..